We Launched yesterday, and are going strong! I want to give everyone who is new to this thread for the first time a peak of where we are now and a glimpse of our Kickstarter. Pretty much everything is available at early Pledge Levels as an ADD-ON!! 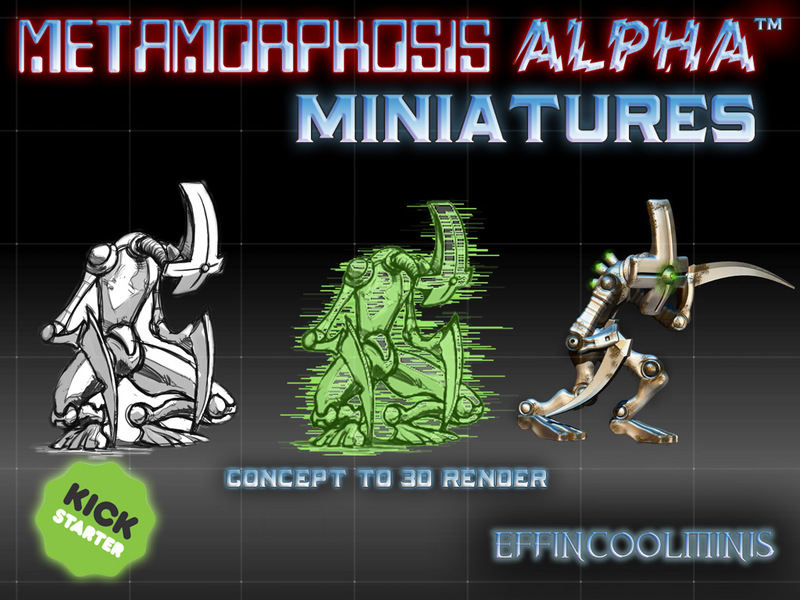 As some of you are aware, Effin Cool Minis is a small startup and as such we are looking to crowdfunding to help us get our start and make the First Ever Miniatures for the First Sci-Fi RPG Ever Written. This is a huge honor, and we are thankful that James M. Ward liked us enough to give us this chance to make miniature representations of his world, for as he has said, "gaming on the Warden is better if there are visuals to look at." 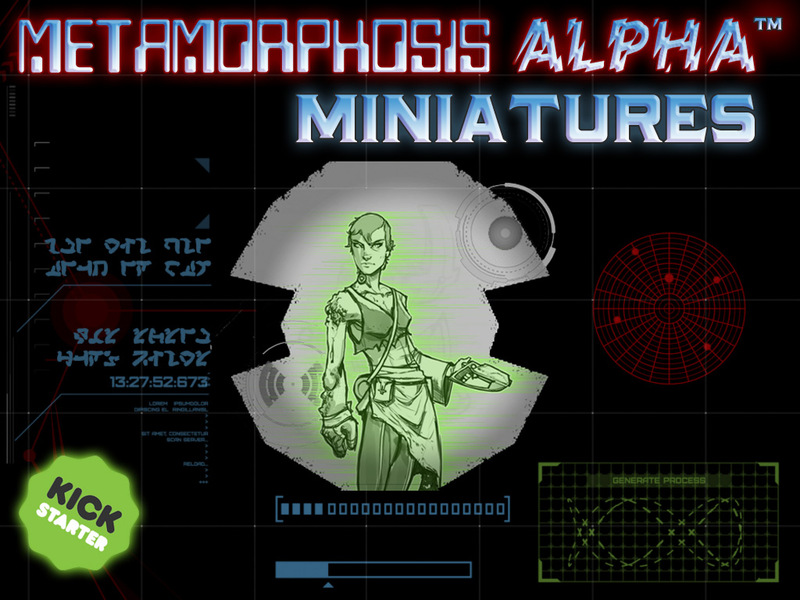 Game enthusiasts have been waiting a long time for Metamorphosis Alpha(tm) to have miniatures that represent some small portion of the creatures and survivors on the Warden. In 1976 James M. Ward worked with TSR, the original publishers of Dungeons & Dragons, when he created the foundation for Science Fiction to meet the imagination utilizing paper and pencil through his RPG scenarios. The Warden was an enormous and benevolent ship whose A.I. made certain everyone was taken care of and every machine stayed in its place. At least, it did before the event that changed everything. 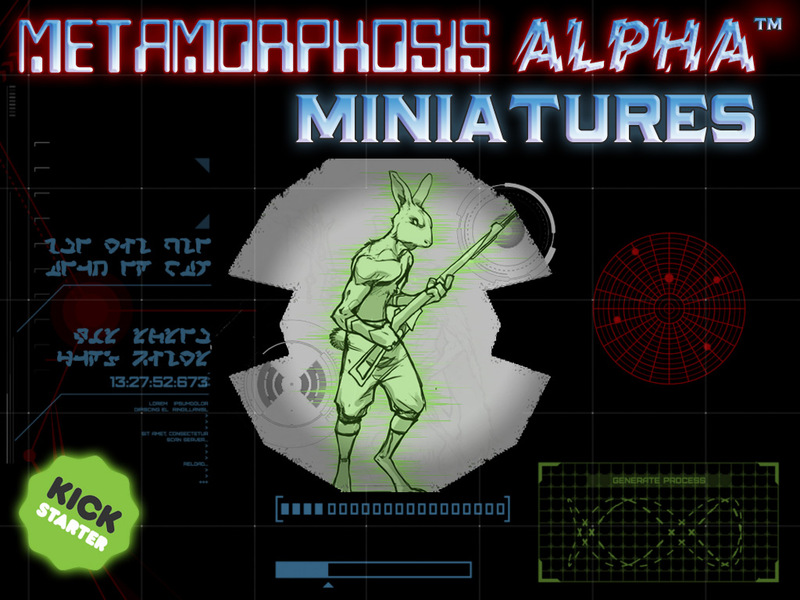 In Metamorphosis Alpha, anything is possible as it takes place long after the radiation based event that reshaped the living creatures who were fleeing on the Warden to what they hoped was safety. They were wrong, and most perished but for those creatures that survived in their remote sections of this enormous ship new cultures evolved. Small pockets of humanity still exist though they are often tribe-like with simple rules passed down from generation to generation. Other creatures evolved their own cultures with their own set of rules, some more advanced than others. These rules have enabled a primitive form of survival in a high tech environment where stepping ever so slightly outside of the known and finding some new object could yield more understanding and prosperity, but most often brings destruction through ignorance. 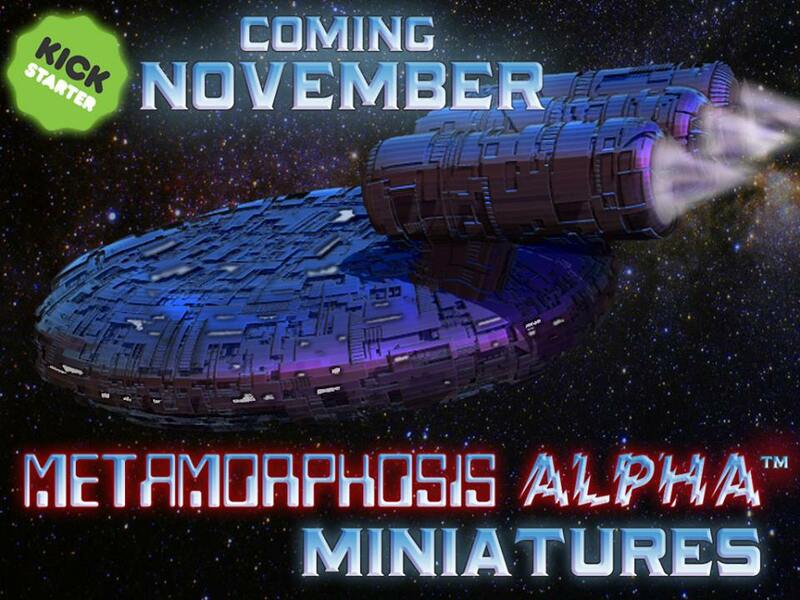 Effin Cool Minis has the distinct opportunity to bring a portion of this world from the imagination into a person's hands in the form of miniatures, but first we will need a bit of help from the fans of Sci-Fi that would like to see this made a reality! Last edited by Mr Effin; 11-27-2015 at 12:07 AM. Reason: Kickstarter is Live! We have a sighting of another droid on the Warden. Whatever its function, it does not look like it would be safe to get too close. How long can we survive exploring this place when everything looks so deadly? Not to mention all the radiation warnings we have been picking up!! We plan to launch November 25th at High Noon Eastern Time and provide a limited slot early bird discount to the top Pledge level. Kickstarter soon! Proof of print and casting. We plan on getting the pledge layout ready late this evening and would like feedback over the next week if anyone is interested in taking a look there. We have also contracted 2 amazing sculptors for an initial total of 6 traditional green sculpts on this project so far. Here is a test print from our original 1st concept. and I also wanted to show some painted 80mm pewter trolls from our first Kickstarter that we are wrapping up and getting ready to ship out to show proof of print to cast quality. Very excited how it is going! Halfway through the campaign and 90% funded, they are getting there!